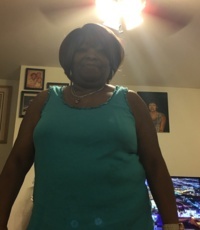 I Would Describe Myself As HELLO, MY NAME IS MARY, I AM HERE TO FIND A LTR BEEN ALONE NOW 13 YRS, LOST MY HUSBAND OF 30 YRS TO KIDNEY FAILURE, and I HAVE CUSTODY OF MY GRANDSON. An Ideal First Date Would Be meet up and going some where we can sit and talk to see if we have any chemistry. I've Always Wanted To Try sky dive, going up in a helicopter, or hot air balloon.